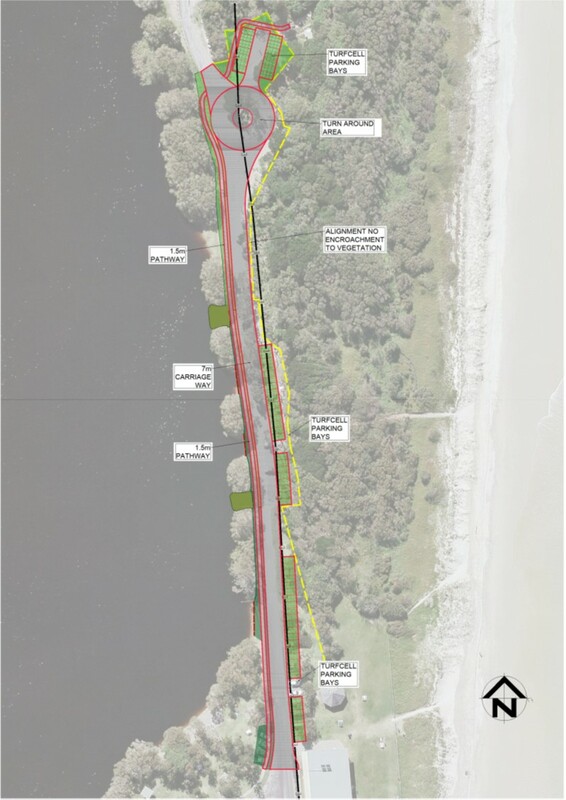 There have been two recent proposals to maintain a road on the eastern side of Lake Ainsworth and address safety and environmental concerns, first by consultants Complete Urban (2014) and then by Council staff (2016). Consultants Complete Urban proposed 3 options for a saved road in 2014. Each option was for a single lane road with no parking anywhere north of the surf club. 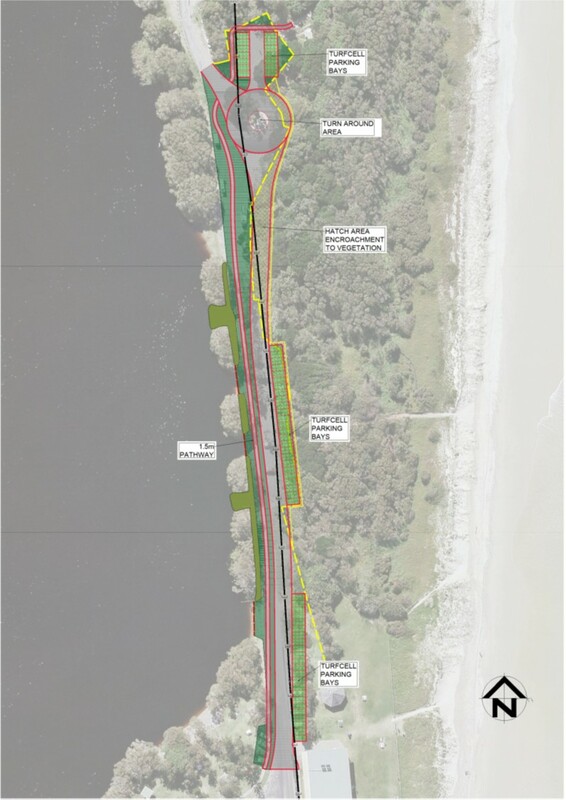 The rationale being that, by NOT providing car parking, traffic would be minimal and therefore the conflict between lake users and vehicles reduced. State government offered funding assistance for an 'access only' road. At the time LAIG were of the opinion that this proposal looked very much like a driveway to the Sport and Recreation Centre and considering that Sport and Rec already had alternative access, the land was of more benefit returned to the community as much needed recreational space. At the request of Councillors, Council staff explored the idea of retaining car parking and reconstructing the eastern road to conform with current standards. Two options for a widened road with the addition of a footpath (to address safety concerns), were floated for discussion in November 2016. Staff Option 1 included 63 car parks. Staff Option 2 included 68 car parks and encroached into the dunes. LAIG were of the opinion that both options were unacceptable as they did not provide for adequate riparian areas on the lake's foreshores or address the need for more recreational space. Analysis table for staff options 1 & 2 verses current parkland plans, prepared by Council staff November 2016.